03/01/14 -- Soycomplex: Beans closed with modest gains, supported by another week of robust export sales. These came in at 943,400 MT for 2013/14 delivery - up 31 percent from the previous week and up 27 percent from the prior 4-week average. That's pretty impressive for a holiday shortened week. China was the largest buyer, taking 371,100 MT. In addition the USDA also reported sales of 237,500 MT for 2014/15 shipment. Exports of 1,528,100 MT were also very respectable. Total commitments for 2013/14 are now higher that the USDA forecast for the entire season, which is only 4 months old. Dr Cordonnier said that early maturing short-cycle soybeans in Brazil's Mato Grosso are yielding well. IMEA said that farmers in Mato Grosso are only 48% forward sold on their new crop beans versus 67% this time a year ago. 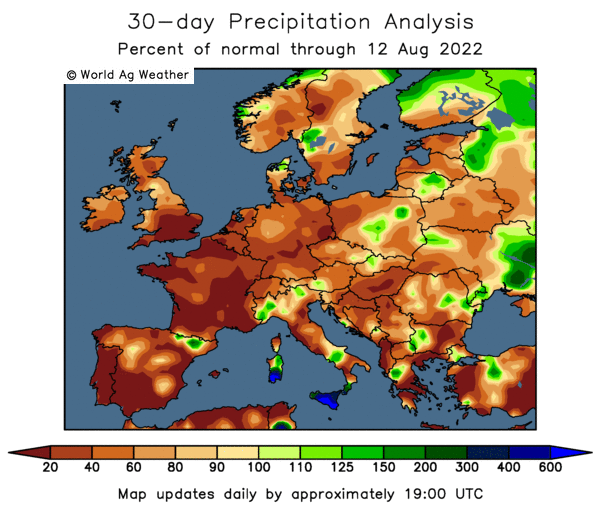 Southern Brazil is in for "very generous rainfall" in the week ahead, according to Martell Crop Projections. However Northern and Central Brazil - Mato Grosso, Minas Gerais, Goias and Bahia are turning hotter and drier. "Argentina has seen increasing showers in recent days, though the rain was not nearly as heavy or widespread as southern Brazil. The forecast calls for hit-or-miss showers in Argentina's northern grain provinces, but little if any moisture in Buenos Aires," they say. Informa cut their soybean production forecast for Argentina by 2 MMT to 57.5 MMT, although that's still a record. They also tweaked their US production and yield estimates for 2013, upping output to 3.329 billion bushels from 3.298 billion, with yields rising to 44.0 bu/acre versus 43.3 bu/acre previously. The USDA issue revised forecasts next Friday. Their December estimates were production at 3.258 billion bushels and yields of 43.0 bu/acre. Jan 14 Soybeans closed at $12.89 1/4, up 2 1/4 cents; Mar 14 Soybeans closed at $12.71 1/4, up 1 1/4 cents; Jan 14 Soybean Meal closed at $424.50, up $0.70; Jan 14 Soybean Oil closed at 38.34, down 17 points. For the week that puts front month beans down 42 1/4 cents, meal $21.20 lower and oil 68 points weaker. Corn: The corn market rallied around 3 cents on spillover support from wheat, although still closed lower on the week. Weekly export sales were poor at 154,500 MT for 2013/14 delivery - down 90 percent from the previous week and 80 percent from the prior 4-week average. There was also a small sale of 20,300 MT for 2014/15 reported for Mexico. Trade expectations had been for sales of 400-800 TMT. Sales for 2013/14 included net decreases for unknown destinations (209,400 MT) and China (116,000 MT). This seemingly confirms that Chinese buyers are now cancelling US corn purchases due to the ongoing GMO issue. China is also now rejecting some US DDGs shipments, depressing that market and possibly driving down ethanol margins, which had hitherto been very good of late. The weekly ethanol grind fell from 926,000 barrels/day to 913,000 bpd, the US Energy Dept reported today. A sign of a trend? Dryness remains an issue for corn in Argentina, where 77% of the crop is now planted, 5 points down on year ago levels, according to the Buenos Aires Grain Exchange. "A 70 mm (2.75 inch) moisture deficit still persists in Buenos Aires, the leading corn province. Cordoba has benefited from recent strong showers, though the though eastern provincial corn districts need more rain. A December heat wave was a stressor on corn and soybeans. Temperatures were 8-10 F above normal in the 2 weeks leading up to Christmas. Afternoon highs frequently were in the upper 90s F, even topping 100 F occasionally. This lead to extremely high transpiration (loss of water through leaf pores). While scattered showers occurred here and there, it was not enough to offset the extreme heat," say Martell Crop Projections. Informa cut their Brazilian corn production forecast by 2.75 MMT to 67.4 MMT. They also trimmed their estimate for the US 2013 corn crop from 14.223 billion bushels to 14.162 billion, despite raising yields from 161.2 bu/acre to 161.6 bu/acre. The USDA are currently using a production estimate of 13.989 billion bushels and yield of 160.4 bu/acre. Mar 14 Corn closed at $4.23 1/2, up 3 cents; May 14 Corn closed at $4.31 3/4, up 2 3/4 cents. For the week front month corn fell 4 cents. Wheat: The wheat market got a shot in the arm from news that Algeria and Egypt's GASC bought in excess of 1 MMT of wheat between them in a couple of high profile tenders. Whilst US wheat was nudged out into Egypt it wasn't by that much. French, Romanian, Russian and Ukraine wheat won the day, with the winning bids all huddled around the $297-300/tonne mark on an FOB basis, plus freight of around $16-20/tonne. It was only freight of more than double those rates that saw US wheat miss out, the cheapest FOB offer for HRW wheat was actually $273.14/tonne - some $27-27/tonne below the equivalent offer in Europe or the Black Sea. Meanwhile there are trade rumours of US sales made to private Egyptian buyers from earlier in the week. The USDA reported weekly export sales of 248,500 MT for delivery during the 2013/14 marketing year - down 58 percent from the previous week and 46 percent below the prior 4-week average. Trade expectations were for sales of 200-600 TMT. There was also a small net sale of 8,000 MT for 2014/15 delivery reported for Colombia. There was no sign of Brazil, China, or anybody else of note in this week's sales, but it was a holiday week so we shouldn't necessarily read too much into that. The Buenos Aires Grain Exchange maintained their forecast for an Argentine wheat crop of 10.35 MMT this year. It would seem that Australia's 2013/14 grain harvest may be higher than suggested, certainly in WA where CBH say that they've received a record 15.6 MMT of grains to date, and are expecting to take in a further 200-400 TMT by the end of the month. MDA CropCast yesterday forecast the global wheat crop in 2014/15 down 1.7% on this season, led by a decline of 11.8% from the FSU-12 after the wet autumn cut plantings there. Russia's Hydrometcentre said today that 2013 was the sixth warmest year on record in Russia, and that December itself was the warmest ever, with average temperatures more than 4 degrees C above the seasonal norm. 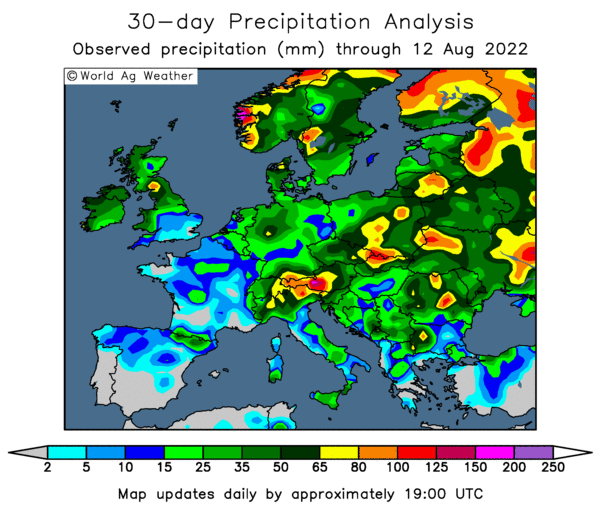 What winter grains have been planted in Russia (estimated at around 14.7 million hectares) are therefore in a better state than ever, the weather centre added. Mar 14 CBOT Wheat closed at $6.05 3/4, up 8 3/4 cents; Mar 14 KCBT Wheat closed at $6.42 1/2, up 11 1/4 cents; Mar 14 MGEX Wheat closed at $6.30 1/2, up 5 1/4 cents. For the week Chicago wheat still fell 3 1/4 cents, with Kansas down 1 3/4 cents and Minneapolis falling 4 1/4 cents. 03/01/14 -- EU grains closed mostly a little lower in thin trade, with many participants still absent from the market until next week. Jan 14 London wheat ended GBP2.30/tonne lower at GBP160.95/tonne, and Nov 14 fell GBP1.55/tonne to GBP150.10/tonne. Jan 14 Paris wheat finished unchanged at EUR208.00/tonne and is now at a near EUR6.00/tonne premium to second month Mar 14. Jan 14 Paris corn fell EUR1.00/tonne to EUR172.50/tonne, whilst Feb 14 Paris rapeseed was up EUR1.25/tonne to EUR366.50/tonne. New crop Nov 14 London wheat closed within ten pence of the lifetime contract low set in August, and now sits almost GBP29.00/tonne below the contract high set in November 2012. 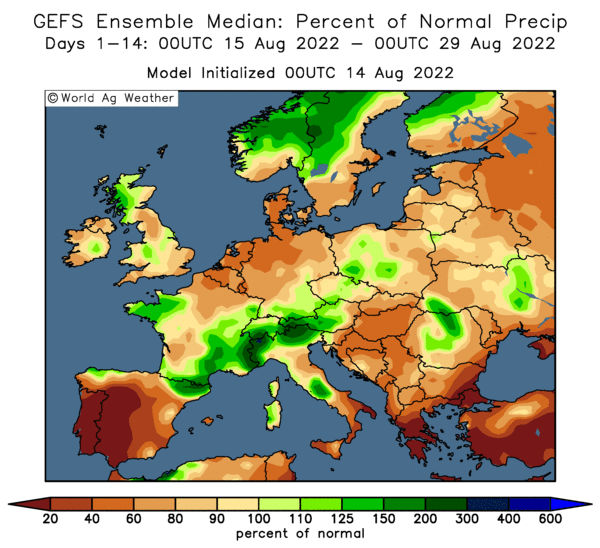 The outlook for sharply higher UK wheat production this year, along with a more modest rise in Europe and a whole, plus another potential bumper corn crop in Ukraine and Russia in 2014 is weighing on new crop values. For the week, front month London wheat was GBP3.05/tonne lower, with Nov 14 down GBP3.65/tonne. Front month Paris wheat was down EUR0.75/tonne, Paris corn was up EUR0.25/tonne and Paris rapeseed was EUR0.50/tonne lower. Euro weakness has helped Paris grains from slipping too much this week, despite Chicago wheat falling to fresh 19-months lows. HSBC forecast the euro/pound to remain relatively flat across 2014, ending the year at 85 pence versus just under 83 pence currently. They estimate that the pound will gain against the US dollar, hitting 1.46 by September. For interest, last year they estimated that the euro would appreciate from 81 pence to 87 pence during the course of 2013 - so they were partially right. They also indicated at the beginning of 2013 that London feed what would end the year at GBP165.00/tonne - a very decent call, especially as the front month was over GBP200.00/tonne and Nov 13 was trading around GBP185.00/tonne at the time. This year they are using GBP150.00/tonne as their base price for ex farm feed wheat here in the UK. Algeria bought 500-550 TMT of optional origin wheat in a tender at levels around USD314-315/tonne C&F. It is thought that at least some, if not most of that will come from France. Egypt's GASC bought a similar volume - 535 TMT, including 180 TMT of French, 180 TMT of Romanian, 120 TMT from Ukraine and 55 TMT from Russia. The prices paid were all around USD317/tonne C&F. US wheat missed out again due to freight considerations, although it was priced up much cheaper that EU or Black Sea wheat on an FOB basis. The news of the size of the Egyptian purchase came through too late to affect the market in Europe, but the fact that two big North African buyers booked over a million tonnes between them will most likely support the market on Monday. The Egyptian purchase was said to be their largest single wheat buy since at least 2010. In the state of Western Australia, CBH Group, who are responsible for the commercial storage of the vast majority of the crop, say that they've so far taken in a record 15.6 MMT of grains - and that this could rise to 15.8 MMT or even close to 16.0 MMT by the time everything has been delivered. The previous record volume handled from an entire harvest in the state was 15.06 MMT. WA is the main export hub in Australia. China's Ministry of Agriculture say that their winter wheat crop is in the best condition it's been at this time of year since 2005. The Buenos Aires Grain Exchange kept their forecast for this year's Argentine wheat crop unchanged at 10.35 MMT. The harvest is so far 84% complete at 8 MMT, but crucially regions such as the southeast of Buenos Aires (47% done) are delivering very good productivity, which will boost the final national output, they say. 02/01/14 -- Soycomplex: March beans closed below the 50-day moving average for the first time since Nov 20 last night, potentially opening the door for a long liquidation sell-off, and so proved to be the case today. An improved South American weather outlook was all that was required to see fund money scrambling to get out of the last remaining long position that they have amongst the three principal ag commodities. They were estimated as being net sellers of around 8,000 soybean contracts on the day, sending the market crashing below the $13/bushel mark. Anything like normal weather in South America potentially means a deluge of new crop soybeans is just around the corner. Bear in mind too that US farmers are also expected to "go large" with soybean plantings this spring. MDA CropCast forecast the Brazilian soybean crop at a record 88.16 MMT, with Argentine output at a record 57.46 MMT this year. Rains in both Brazil and Argentina in the past week have improved moisture for soybean growth, they noted. Domestic US DDGs prices are said to have fallen off a cliff on the news that China is now rejecting some shipments of those as well as US corn, putting soymeal under pressure. Trade estimates for tomorrow's weekly export sales report for beans are around 400-800 TMT. Jan 14 Soybeans closed at $12.87, down 25 1/2 cents; Mar 14 Soybeans closed at $12.70, down 22 1/2 cents; Jan 14 Soybean Meal closed at $423.80, down $13.90; Jan 14 Soybean Oil closed at 38.51, down 31 points. Corn: The corn market closed with only nominal losses, which was a fair achievement given the sharp declines seen in wheat and soybeans. The news that China has now begun rejecting US DDGs shipments due to "contamination" with the non-approved MIR 162 variety is bearish. With US DDGs prices said to be $20-50 down in a week, and as much as $85 lower versus a month ago, there could certainly be some negative impact there on ethanol margins and thus domestic US demand for corn. Some think that the USDA are likely to raise their estimates for US 2013 corn yields and production next week, adding more bearish pressure. South American weather is also improving, adding another bearish influence to corn, whist wheat prices seemingly in terminal decline - now below $6/bushel in Chicago for the first time since May 2012 - offer little in the way of support either. There's talk that some US corn originally destined for China has been resold into Europe at discount prices. Asian buyers are said to have been holding off tendering for corn, preferring instead to wait and see if they can pick up a bargain distressed cargo or two to be redirected from China. Few expect this dispute to get resolved until after Chinese Lunar New Year. Trade estimates for tomorrow's weekly export sales report are around 500-850 TMT. The weekly ethanol production report from the Energy Dept is also delayed until tomorrow. Mar 14 Corn closed at $4.20 1/2, down 1 1/2 cents; May 14 Corn closed at $4.29, down 1 1/4 cents. Wheat: The wheat market crashed to new lows, finishing around 8-10 cents lower across the three exchanges. There's talk that the Jan 10 planted acreage report from the USDA could show a 2-3% jump in US winter wheat acres. Egypt released a tender for wheat for Jan/Feb shipment after the close. US wheat could finally be competitive, although there's some talk that logistics may be the next barrier to get over, even if it is now priced cheap enough to overcome the freight hurdle. The current heavy shipping program for soybeans and corn out of the US Gulf in Q1 of 2014 could make getting a slot to ship wheat difficult, some suggest. Nearby delivery slots for wheat are also said to be tight in Europe, the Black Sea, Canada, and even Australia too. India are tendering to sell 220 TMT of wheat for Feb through to early March shipment as part of a drive to sell 2 MMT prior to the start of their 2014 harvest. Plantings for that are nearing completion, and could be record large. 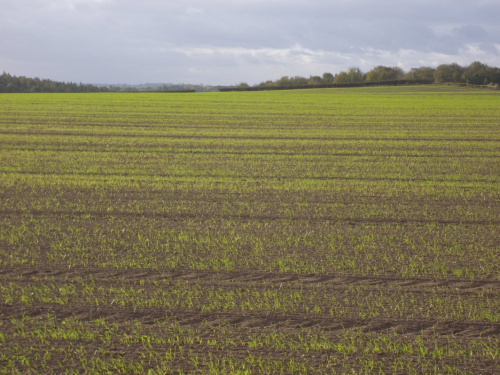 Crop conditions are said to currently be favourable, with decent moisture and reasonably benign temperatures. The sharp cold snap gripping the US Midwest is thought unlikely to cause too much damage to wheat which is generally well protected by a good snow covering. Trade estimates for tomorrow's weekly export sales report are 200-600 TMT. Funds were estimated as being net sellers of around 3,000 Chicago wheat lots on the day. There's a suggestion that this might be new money coming in. Mar 14 CBOT Wheat closed at $5.97, down 8 1/4 cents; Mar 14 KCBT Wheat closed at $6.31 1/4, down 9 1/4 cents; Mar 14 MGEX Wheat closed at $6.25 1/4, down 10 cents. 02/01/14 -- EU grains closed mostly lower to start the year in relatively thin trade with many participants absent, or sitting on their hands, until next week. Amongst other things, that brings the January world supply and demand numbers from the USDA, along with stocks and wheat plantings data. Jan 14 London wheat closed GBP0.50/tonne lower at GBP163.25/tonne, Jan 14 Paris wheat finished EUR1.00/tonne easier at EUR208.00/tonne, Jan 14 Paris corn closed EUR1.75/tonne higher at EUR173.50/tonne, whilst Feb 14 Paris rapeseed dropped EUR1.25/tonne to EUR365.25/tonne. Fresh news was relatively light, although two Indian firms offered 220 TMT of wheat for international tender for Feb 1 - Mar 5 shipment as part of the government's effort to clear 2 MMT prior to new crop coming in at the end of March. 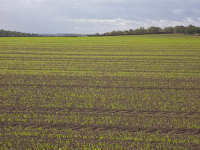 Plantings there might reach an all time high 30 million hectares this year some suggest. That could see production at a record 95 MMT. Algeria tendered for optional origin wheat for March shipment, and Egypt's GASC were also said to be back in the market tendering for wheat for Jan 21-31 and Feb 1-10 shipment. The results of the Egyptian tender are likely to be released tomorrow afternoon and will provide a useful barometer as to whether there are still any cheap parcels of Romanian or Russian wheat left. It will also be interesting to see if French wheat is still pricing itself out, as it was in the last GASC tender, and if US wheat is now cheap enough to overcome it's freight disadvantage. Unconfirmed reports that US corn originally destined for China has been resold to Spain and Portugal would be bearish for demand for feed wheat in Europe if they prove to be true. The ongoing dispute between the US and China over non-approved GMO corn in some shipments to the Far Eastern country shows little sign of being resolved any time soon. US wheat futures traded sharply lower in afternoon trade, dragging EU wheat down with them. CBOT wheat ultimately closed below USD6.00/bu for the first time for a front month since May 2012. 02/01/14 -- For those of you who have pretty much lost most of the past fortnight in an daze, and regard Friday Dec 20th as pretty much the last proper working day that your poor alcohol soaked brain can recall, then the following resumé might help. These changes are all basis the front month closes, last night versus Dec 20. London wheat, down GBP0.95; Paris wheat down EUR1.75; Paris corn down EUR1.50; Paris rapeseed down EUR2.00; Chicago soybeans down 17 3/4 cents; Chicago soymeal down $8.40; Chicago soyoil down 71 points; Chicago corn down 14 cents; Chicago wheat down 8 1/4 cents; Minneapolis wheat down 15 3/4 cents. Meanwhile the pound was up from 1.6337 to 1.6478 versus the US dollar and up from 1.1947 to 1.1985 against the euro. It's great to be back in work isn't it? I for one was not perturbed in the slightest to return to the fold leaving poor old MrsN#3 to "enjoy" her extra few days off, hoovering, washing, ironing and taking the Christmas tree down. Why on earth can't they wait to put the fucker up, only to look forward to packing the bleeding thing away again a few weeks later? 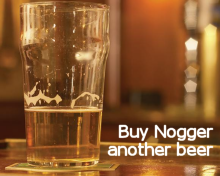 Why not simply leave the bugger in it's box in the loft and save all the hassle? Or better still burn it? And wasn't the telly a load of shite again this year? We struggled to find anything worth watching, and finished up sitting though Thelma & Louise on one of the film channels last night. And I thought isn't it odd to spend an entire film challenging sexist stereotypes and then have the two leading protagonists die at the end because of their rubbish driving? 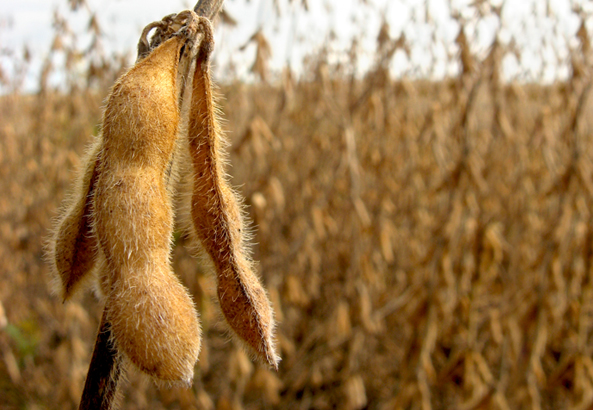 31/12/13 -- Soycomplex: Beans closed around 15-16 cents lower as rain in Argentina encouraged some year-end profit-taking and lightening of fund length. 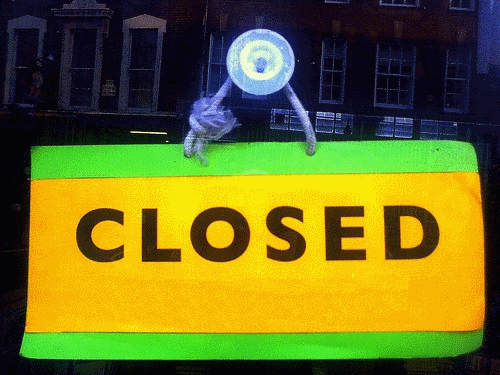 Mar 14 closed below $13 for first time since late November. The latest Commitment of Traders report shows fund money cutting their soybean long position by around 6,600 contracts for the week through to Christmas Eve, with their net long now standing at almost 166,000 lots. For the year, front month beans lost just over a dollar, or 7.5%, a much better performance than that witnessed in the corn and wheat pits. The new year promises to bring with it record soybean production in South America (if the weather plays ball from here on in) and record spring plantings in the US. They've already begun harvesting in Brazil's Mato Grosso state. The relatively strong price of soybeans relative to corn seems certain to see US farmers plant more beans than ever before in 2014. Chinese demand however is also forecast to continue unabated, with imports at record levels. Nevertheless there appears to be more downside potential ahead. Jan 14 Soybeans closed at $13.12 1/2, down 15 3/4 cents; Mar 14 Soybeans closed at $12.92 1/2, down 16 1/4 cents; Jan 14 Soybean Meal closed at $437.70, down $12.60; Jan 14 Soybean Oil closed at 38.82, up 20 points. Corn: The corn market closed modestly lower, sealing what was almost certainly the worst price performance ever over the course of a 12 month period - albeit from initial lofty heights of almost $7/bushel. Compared to last New Year's Eve's closing levels, front month corn tonight stands nearly 40% lower for a loss of $2.75 1/4. Rain in Argentina and Southern Brazil, and the promise of more "normal" temperatures and precipitation in the fortnight ahead gave a bearish tone. Record corn production in Ukraine and Russia, and the prospect for increased plantings there in 2014 also have the market under pressure. The Ukraine Ministry reported that the country had exported 18.48 MMT of grains so far this marketing year, up 30% versus a year ago. Over half of that total, 9.5 MMT, is corn. The Ukraine Ministry forecast 2013/14 full season exports at 32.5 MMT, and the bulk of the remainder of that will be corn, making them the second largest grain exporter in the world after the US. We've seen a bit of consolidation in corn these past few weeks, with fund money booking profits and squaring their short position up a little ahead of year-end. The latest Commitment of Traders report shows fund money reducing their net short by over 17,000 contracts for the week through to Christmas Eve. 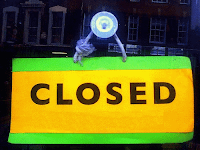 Mar 14 Corn closed at $4.22, down 1 1/2 cents; May 14 Corn closed at $4.30 1/4, down 1 1/2 cents. Wheat: After a pretty torrid month for wheat, a bit of light consolidation was perhaps in order and that's what we got to end the month and year. Even so Chicago wheat finished 2013 around 22% lower than it began it on the front month. Minneapolis wheat lost even more, down 26.6% year-on-year. Record world wheat production coinciding with a record global corn crop has been behind wheat's demise in 2013. Fund selling has also been a problem for wheat this past couple of months, driving Chicago prices close to $6/bushel - the lowest levels on a front month since May 2012. The latest Commitment of Traders report shows fund money trimming their short position a little for the week through to Christmas Eve in light year-end positioning, that follows 7 weeks of increasing the size of that short. Even so they still sit on a net short of almost 70,000 contracts. US wheat is now amongst the cheapest in the world on an FOB basis, although it keeps missing out on tenders into North Africa and the Middle East on freight considerations. Nevertheless, US export commitments are 81% of the USDA projection for the 2013/14 season versus the five year average of 75% at this time. Mar 14 CBOT Wheat closed at $6.05 1/4, up 4 3/4 cents; Mar 14 KCBT Wheat closed at $6.40 1/2, up 4 3/4 cents; Mar 14 MGEX Wheat closed at $6.35 1/4, up 5 cents. 31/12/13 -- EU grains closed mixed, but mostly a little lower to end the year, in extremely quiet trade. Only 21 lots changed hands in London wheat, and less than 8,000 in Paris wheat in holiday-shortened trade. Jan 14 London wheat closed unchanged at GBP163.75/tonne, Jan 14 Paris wheat finished EUR0.25/tonne easier at EUR209.00/tonne, Jan 14 Paris corn was unchanged at EUR171.75/tonne, whilst Feb 14 Paris rapeseed dropped EUR0.50/tonne to EUR366.50/tonne. Essentially, European wheat is still in the same sideways pattern that it's been stuck in for the past 2 1/2 months, although the year-on-year picture looks decidedly different. The year of 2013 saw nearby London wheat finish GBP41.50/tonne lower than it began it, a fall of 20 percent. Paris wheat fared a little better, falling EUR41.25, or 16.5% during the course of the year. Paris rapeseed fell EUR90.25/tonne, or almost 20% and Paris corn was the sector's biggest loser, shedding EUR66.00/tonne for a near 28% slump year-on-year. The massive recovery in the global corn crop in 2013, up more than 100 MMT versus 2012, to a record 964 MMT is one of the main reasons responsible for price declines in the grain sector this year. That said, the world has also produced a record 711 MMT wheat crop in 2013 too. As ever, it's not just how large the crops are, it's who's got them. In the case of corn, big production increases this year have come from America, Europe (particularly Eastern Europe), Ukraine and Russia - all major exporting nations - and apart from the US, countries infamous for being not too fussy about price. In the case of America, Ukraine and Russia this year's corn production was also an all time high. Wheat production in 2013 meanwhile was up sharply in Europe, Canada, Australia, Russia, Ukraine and Kazakhstan - again all major exporting nations. Ukraine will become the world's largest grain exporter after America in 2013/14, shipping 32.5 MMT abroad, according to their Ag Ministry - a leap of 41% on last season. They've already shipped more than half that total, 18.48 MMT to Dec 30, so it is an achievable target. What will 2014 bring? Reduced US corn plantings following Chicago prices staging their worst yearly performance "since at least 1960" according to Bloomberg, and "the worst on record" according Reuters. This may be partially compensated for by a return to trendline yields, but it's far too early to say. What we can be fairly confident about though is that both Russia and Ukraine will plant even more corn this spring than they did in 2013, so increases on this year's record production there already looks quite likely. 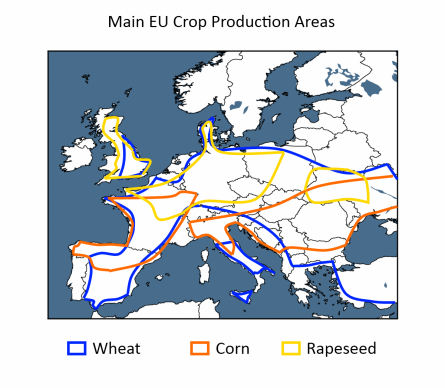 It also seems likely that Europe and America will harvest a larger wheat crop in 2014 than this year, given average yields. Meanwhile, the carry-in to next season is also likely to be higher than it was at the start of the current campaign. The USDA currently have 2013/14 world wheat ending stocks forecast 4% higher at 183 MMT, with global corn inventories seen up 20% to more than 162 MMT. That's the fundamentals taken care of, however one of the other main reasons for the decline in global grain prices this year I think can also be attributed to the withdrawal of fund/spec money from agri-commodities. According to Agrimoney over the last nine weeks speculators have "chalked up their longest bearish switch in positioning on agricultural commodities on record, official data showed, as another raw material hedge fund said it is to close because of the trouble raising capital." Whether they will return anew in 2014 remains to be seen, but currently the odds seem stacked against it. 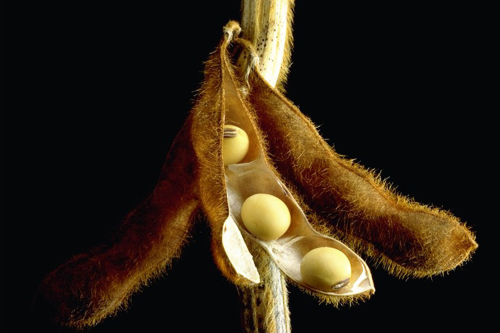 30/12/13 -- Soycomplex: Beans fell on news that some parts of Argentina picked up needed rain over the weekend, and reports that the 2013/14 soybean harvest in Brazil's top producing state of Mato Grosso was now underway. "Severe drought in Argentina has eased with strong showers recently in the top farm provinces. A 3-week stretch of intense heat and dryness is giving way to showers as a cool front pushes northward through the Argentina grain belt. Buenos Aires, the top farm province, has already received generous rainfall in excess of 1 inch (25 millimetres)...still dry, the northern third of the Argentina soybean belt is expecting soaking rainfall with a north-moving cool front. Around 1–1.5 inches of rain is predicted in soybean areas of Santa Fe, upper Cordoba and Chaco," said Martell Crop Projections. Southern Brazil, which has also been dry, is expecting even heavier rains. Meanwhile the new crop soybean harvest is reported to have begun in Brazil's Mato Grosso, a few days earlier than anticipated, most likely on early planted and irrigated land. 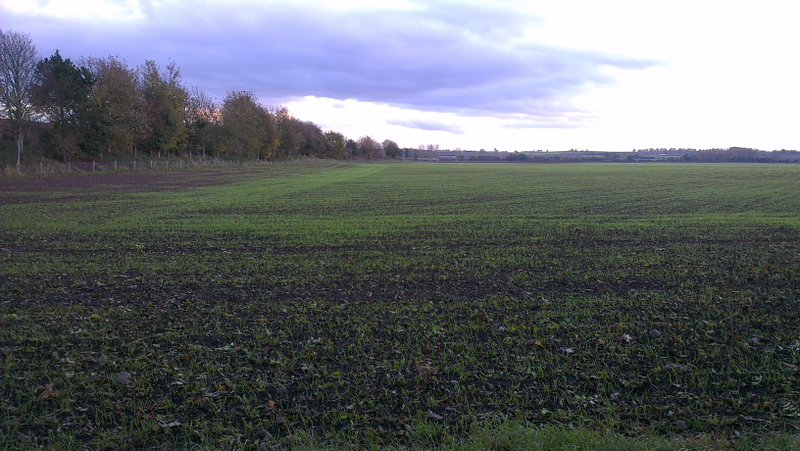 Harvesting here should pick up by the middle of January and be in full swing by the end of next month. Morgan Stanley forecast the Brazilian soybean harvest at just under 87 MMT, up 6% versus last year, with the Argentine crop seen 13% higher at almost 56 MMT. Both would be record output. The Rosario Grain Exchange estimated the Argentine crop a little lower at 55 MMT. The USDA reported the sale of 35 TMT of US soybean oil to unknown for 2013/14 shipment. Jan 14 Soybeans closed at $13.28 1/4, down 3 1/4 cents; Mar 14 Soybeans closed at $13.08 1/2, down 5 1/4 cents; Jan 14 Soybean Meal closed at $450.80, up $5.10; Jan 14 Soybean Oil closed at 38.57, down 45 points. 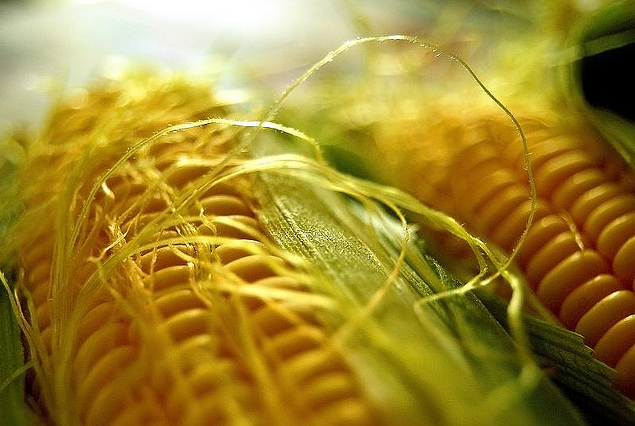 Corn: The corn market slumped on South American rains. In Argentina's Cordoba, a key corn area, "scattered heavy rain fell on Saturday night from a cluster of strong thunderstorms. Up to 3 inches of rain occurred," said Martell Crop Projections. "Very heavy rainfall is now predicted Brazil’s two southern farm states (Rio Grande do Sul and Parana), with 3-4 inches based on the 7-day GFS model. The forecast is even wetter in southern Brazil than in Argentina," they added. The Rosario Grain Exchange said that Argentine farmers will plant 3.9 million hectares of corn this year, down 0.5 million on a year ago. They estimate production at 22 MMT (far below the USDA's 26 MMT) and say that plantings are currently around 70% complete. US corn prices are now down almost 40% since the turn of the year, which Reuters say is the largest annual slump ever. UkrAgroConsult forecast the 2013/14 Russian corn exports at 3.3 MMT, a jump of 74% on last year as production rises from 8.2 MMT to a record 11.0 MMT. Ukraine has also seen a large leap in corn output in 2013, with this year's harvest now well past the 30 MMT mark, also a record production number. US weekly export inspections for the week ending December 26th for corn were 24.908 million bushels, down from 37.255 million a week earlier, but not a bad total for Christmas week (shipments last year were only around 8 million). Despite the ongoing problems, China was responsible for 5.371 million bushels of that total. Asian buyers are said to be holding off booking US corn cargoes in anticipation of picking up cheap distressed offers on the back of the recent spate of Chinese rejections, the total for which is now said to exceed 600 TMT. Mar 14 Corn closed at $4.23 1/2, down 4 cents; May 14 Corn closed at $4.31 3/4, down 4 cents. Wheat: Friendless wheat slumped around 5 to 9 cents lower on the day across the three exchanges. Fund money seems more than content to drive this market lower heading into the year end. The latest Commitment of Traders report shows them adding to their net short for the week through to Christmas Eve. They were estimated to have been further net sellers of around 2,000 Chicago wheat contracts on the day today as prices fell to a contract low on the Mar 14, and now look in danger of falling below the $6/bu level for the first time for a front month since May 2012. The Rosario Grain Exchange increased their forecast for the Argentine wheat crop to 9.5 MMT, courtesy of yields rising from the 2.71 MT/ha estimated previously to 2.78 MT/ha. Nationally the wheat harvest is said to be 70% complete, with much of what remains to be cut coming from some of the more productive areas in Buenos Aires Province. India's State Trading Corp has issued a tender to export 160 TMT of wheat for shipment between Jan 18 and Feb 18 as they continue to attempt to make some room for their impending 2014 crop, harvesting of which is expected to begin in the second half of March. Talk of damage to US winter wheat from the current cold snap gripping the Midwest could be premature, said Global Weather Monitoring. The coldest temperatures will focus in on Minnesota, Iowa, and northern Illinois - much of which are said to have adequate snow cover. Temperatures on the US Plains meanwhile will not fall low enough to cause any damage it is thought. Weekly US export inspections came in at 13.39 million bushels versus trade expectations of 16 to 22 million. Mar 14 CBOT Wheat closed at $6.00 1/4, down 8 3/4 cents; Mar 14 KCBT Wheat closed at $6.35, down 9 1/4 cents; Mar 14 MGEX Wheat closed at $6.29, down 5 3/4 cents. 30/12/13 -- There was precious little in the way of fresh and stimulating information or trade on the go today - as you might expect 'twixt Christmas and New Year. Whatever activity did go on was probably down to the final few bits of year-end book-squaring in predictably thin market conditions and EU prices ended with little change. Jan 14 London wheat ended GBP0.25/tonne lower at GBP163.75/tonne, Jan 14 Paris wheat finished EUR0.50/tonne higher at EUR209.25/tonne, Jan 14 Paris corn fell EUR0.50/tonne to EUR171.75/tonne, whilst Feb 14 Paris rapeseed was unchanged at EUR367.00/tonne. The Russian Ministry reported that the country had exported 1.75 MMT of grains so far this month (Dec 1-25), including 1.14 MMT of wheat, 428 TMT of corn and 127 TMT of barley. That's down versus the circa 2.5 MMT of grains exported in November, as expected. Marketing year-to-date grain exports are now 15.7 MMT - the same as in the whole of drought-ravaged 2012/13 crop year. SovEcon reported that domestic wheat prices in Russia fell by the equivalent of around $3/tonne last week, after eleven successive weeks of increases. Some are suggesting that this is the start of a trend. UkrAgroConsult forecast the Russian wheat crop at 51.0 MMT in clean weight, versus 37.8 MMT last year, with corn production rising to 11.0 MMT from 8.2 MMT a year ago and barley output up to 15.2 MMT from 14.0 MMT in 2012. They estimate full season 2013/14 Russian wheat exports at 15.5 MMT, up 40% versus 11.1 MMT in 2012/13, with those for corn up 74% to 3.3 MMT from 1.9 MMT and those for barley up 9% to 2.4 MMT from 2.2 MMT. The Russian Ministry said that the domestic sunflower harvest is still ongoing at just over 95% done (6.75 million hectares of the planted 7.08 million), with output forecast at a record 10.2 MMT (up nearly 28% on last year). They finished harvesting their record near 1.4 MMT of 2013 OSR earlier in the year, and forecast winter and spring plantings combined rising 6% for the 2014 harvest. This is likely partly related to enforced reduced winter grains plantings this year, but also appears to be part of a general surge in grower interest in expanding their cropping areas into oilseeds and corn in both Russia and Ukraine in recent years. The planting of better quality hybrid seeds sees farmers here now achieving much better, more Westernised, yields than were feasible only a few years ago - attracting more interest in growing these crops. The Kazakh grain harvest ended at 20.9 MMT in bunker weight this year, which will probably mean a clean weight harvest of 18.5 MMT, up 43% on last year, according to the Ag Ministry there.